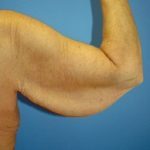 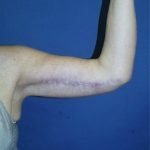 Brachioplasty (armlift) with liposuction. 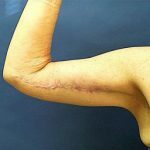 The remaining stretch marks can not be removed. 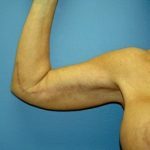 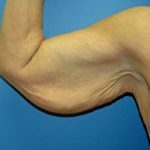 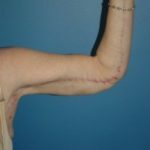 This obese patient desired an armlift (brachioplasty) so that her upper arm would better match her forearm. 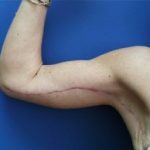 Her scar is slightly hypertrophic but will continue to fade over time. 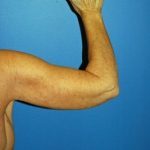 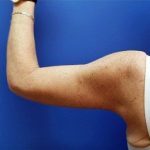 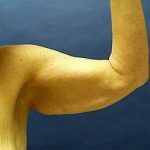 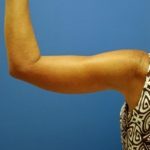 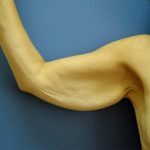 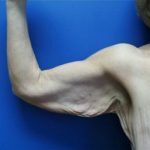 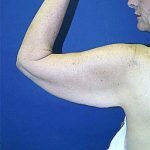 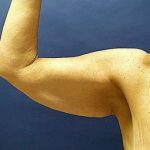 45 year old female with excess skin/fat in the upper arms who underwent a brachioplasty (armlift) with liposuction. 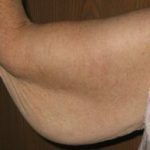 She has some hypertrophic scarring present which will continue to fade.